Looks like Chewie will be more plentiful than Wolffe. Just picked up Chewie today. They literally got it 5 min before I got there. They had like 10 of him. I never planned to get him, but finally caved. I'll probably sell my TFA one just cause I never really liked that one too much anyways. Thanks! I picked up a pair from my local store, I think they just came in as they had 4 on the shelf. Losing hope on my Wolffe pre-order. I seriously doubt they will get any more of him in. yea. i was so lucky getting my wolffe. was just luck one i got. i am hoping the pre order for the gammy guard goes thru ok and it comes in. i have not had much luck with pre orders thru ebgames at the store lately. The store I got Wolffe only had 3 and all 3 were spoken for before it even hit the stores. I was lucky that I was one of the 3. The store I got Chewie at wouldn't take any Wolffe pre-orders and it was first come first served. 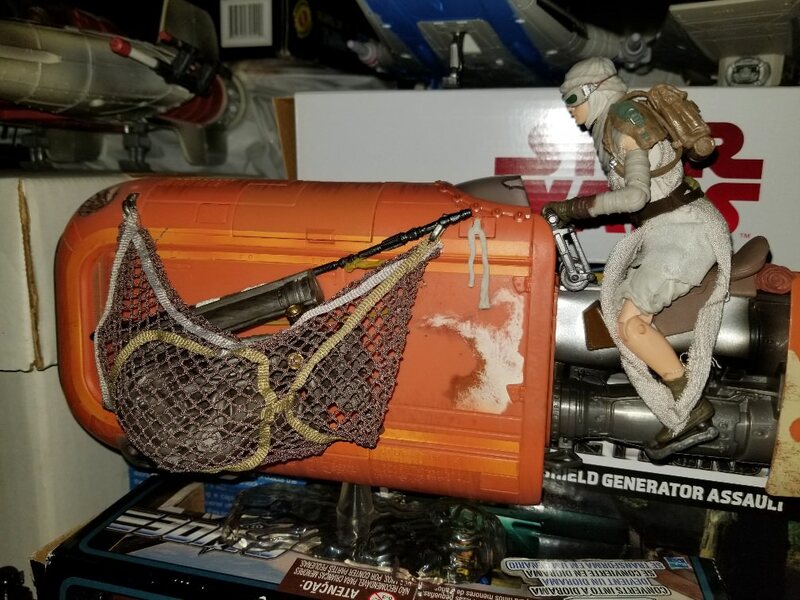 Thanks to DarthDerek's post, I was able to get a Rey for $44 (with Edge Card membership). It'll come to the same as getting it for $20 in the US, so I figured why not. Every true Star Wars fan is a Luke Skywalker, looking at his twisted, evil father, and somehow seeing good. I haven't seen one yet, but I didn't preorder either so they may all be taken. I will have a tough time paying almost double price for it, but I'm not saying 100 percent no either, based on how people have reacted to the figure. I preordered and have yet to get a phone call. I think I will be calling them today. Hopefully it didn't get missed for some reason. Follow up... I phoned this morning and they had one for me. But after speaking to them in store they never had any notice of my preorder. Mine was out on the floor for sale before I called. That store only got two in. One sold yesterday and I picked up the other. If you preordered and haven't received a phone call you should call them now. 2 just hanging out available at the store closest me after the move. Very happy with the figure - I decided to get one once I saw it in person without hesitation. Good luck in getting them! I did get a phone call, but it was from a different store than where I actually did the preorder. It was very strange, they couldn't figure out why. And I had pre-ordered 2 but they only had one set aside for me. I picked it up plus an extra they had on the floor. Then I went in right away to the other store and cancelled the 2 they had for me there (with no phone call), so they could sell them to others. Moral of the story - ebgames has an AWFUL pre-order system that is set up for mass-release video games, and not optimized for very-limited-run action figures. I wish they would just let us pay full price upon pre-ordering and then guarantee they will be there for us. If you don't go to pick them up right away, they'll sell them out from under you.